Starting in the early-1980s, the residents of the Hudson Valley area of New York would begin seeing strange aerial sights. 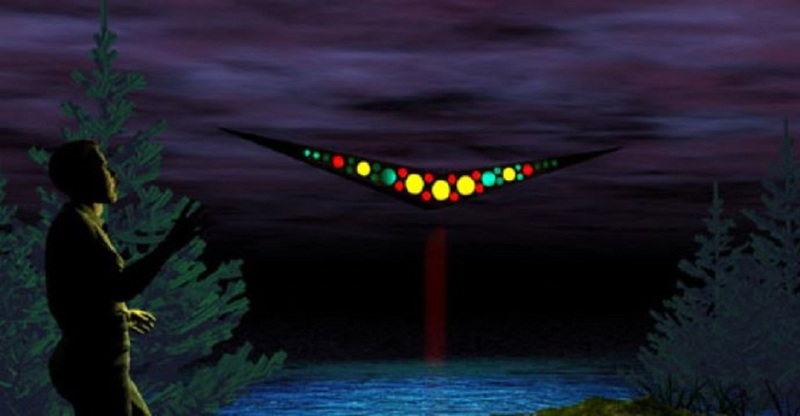 The bulk, or first wave, of these strange sightings, occurred between 1981 and 1994. All were startlingly similar in nature. 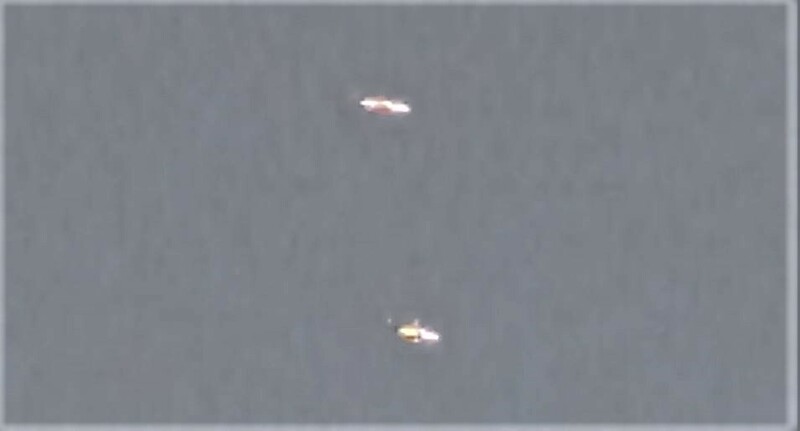 Multiple lights would be seen in the sky, usually moving into formation. Sometimes the lights would move through the sky as if they were all part of one craft. What would also make these particular sightings all the more unique is the multiple witnesses to these events. Photograph of strange UFO sighting. Although the sightings died down somewhat in the mid-nineties, there are still reports of such activity in the region today. Perhaps even more interestingly, a short distance away in the Bronx, a surge in UFO sightings appears to be underway. Perhaps the most well-known of the early Hudson Valley sightings would occur on 24th March over the skies of Brewster. The town’s telephone switchboard became jammed with frantic calls reporting strange lights in the night sky. Gridlocked drivers on the Taconic parkway left their vehicles to observe the lights passing overhead. They appeared to be part of a large mothership craft according to some. Dennis Sant is just one person who witnessed the craft as it made its way directly over his home. Sant, a government employee for almost twenty years, and married father of five children is an extremely credible witness. According to Sant, the object was most definitely three-dimensional and made of girder-like, dark gray metallic outer shell. The lights were all brilliant colors and had the look of a floating city at night! The sightings would continue throughout the eighties. Even then, by comparison to today, with reduced news outlets and no Internet, some people were beginning to connect the dots of these random sightings. In the summer of 1986, while driving home from work one evening, Rob Levine focused his attention on what looked to be a low-flying aircraft. Within seconds it had moved much closer to his position. He brought the vehicle to a stop. The object flashed with colored lights, unlike anything he had seen before. As he maintained his view of the object, it seemed to keep moving further away and then closer. All the time the craft did this at great speed. The lights would flash in a V-shape, and then seem to form into strange, unknown letters. Levine would later claim that he had a feeling the craft was attempting to communicate. All the while, he noticed how quiet his surroundings were almost surreal. As were the light beams projecting from it. However, they seemed to Levine, to be strangely projecting from the ground and up to the craft. In total, between 1982 and 1986 alone, over three-hundred reports of such sightings occurred. The details of them were remarkably similar. All would speak of lights in many colors and of them arranging themselves into shapes, in particular, a V-shape. NOTE: The above images are witness renderings. On 7th May 1989, a report of a strange, unknown craft entering South African airspace resulted in Mirage Fighter Jets taking to the skies to intercept. They received orders to engage, which they did, firing at the craft. It came to a stop in the Kalahari Desert, around eighty miles from the border of South Africa and Botswana. The South African military would be on the scene within minutes. The fighter jet had continued to circle the crash site until they arrived. The area around the object was evidently so hot that sand and rocks had fused together! Radioactivity was also so high in the crash site, than many of the military’s electronic equipment failed to work. The strange craft was a polished, smooth silver material, seemingly hard, but with no visible seams anywhere. What appeared to be portholes were present on the craft these were unevenly spaced. Also, what the military assumed was landing gear was visible. This suggested that the craft was attempting to land as opposed to falling from the sky out of control. The retrieval team would force a hatch open, and two crew members removed from the craft both still alive. Each dressed in tight fitting grey suits, with an estimated height of around 4-5 feet tall. Their heads were much larger than their bodies, and their eyes were equally out of proportion. The report basically describes what most people would call a grey alien. Under the suits, their abdomens also had a ribbed, scaled appearance. The craft safely retrieved and on its way to an unknown South African military base, with dirt and sand covering any evidence of the incident. From there, the object went on a one-way passage to Wright-Patterson Air Force Base in the United States. NOTE: The above image is CGI. 08/06/2017 1:40pm – North Plainfield, NJ – WEATHER: Low Overcast I was watching TV in my living room. The balcony door was closed. I begin to hear a faint roaring sound. The sound got louder and louder to the point that my cat was alarmed and looking for the source. I went out on my deck at about 1:50 to investigate. After looking at the highway expecting a truck making the racket, I look up at the sky. To my amazement, I see a EXTREMELY LOW plane. I thought that must be the source. The roar was easily 3x higher than an normal passenger plane, which I have never heard while the TV was on in the 10 months I lived here. The plane did not look like a passenger plane either. The wings were shaped much different than passenger planes. My area gets air traffic from multiple airports, big and small. As it got closer I realized that this is a fighter jet! I was immediately taken back because this thing was going to be flying almost completely overhead. Getting closer I noticed I could actually see a pair of missiles shillouetted in the center of the wings (see fig). I could not believe how low this jet was and I felt that it couldn’t have been save or legal. This jet flew at about a 45 degree angle by the time it pasted my apartment building. Once it passed over head the plane banked hard to the left and began circling eventually ending up going right again but with a greater altitude 55 – 60 degrees. After reviewing photos of the fighter jets that we use I would say this jet was most similar to F-16 or F/A-18 Hornet. At this point I notice another object in the sky. This one immediately looks different. 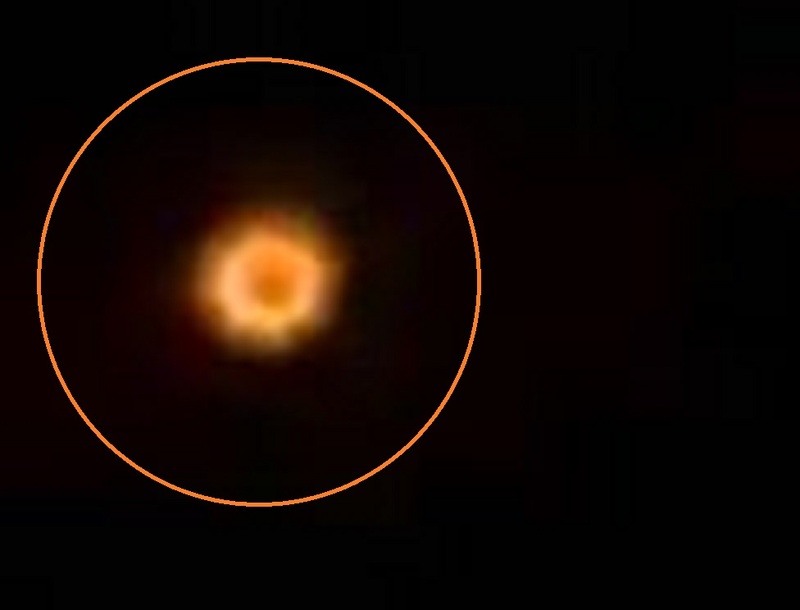 It truly looked like the flying disk but tilted in an diagonal position. The downward end was kind of pointed away and to the right of me (see fig). I wasn’t sure what this craft was. Could have it been a jet too but with reflections and certain atmospheric conditions look like it something else? Or was this beyond that? Regardless, this object appeared to me to be “floating in the wind” at first but then I saw it start to head towards the right (southwest). 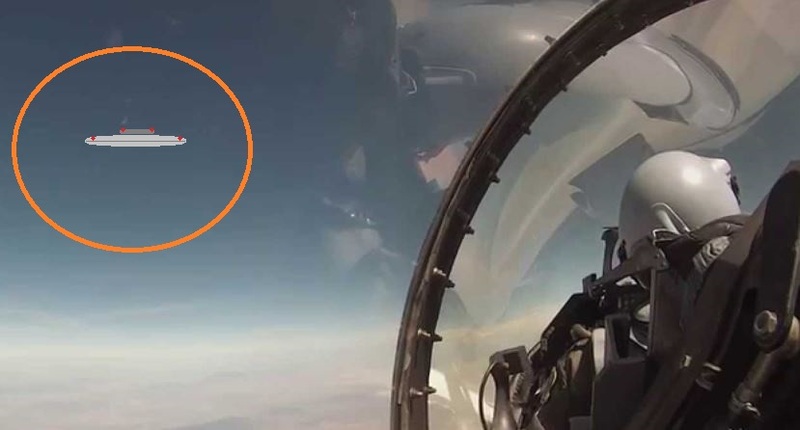 The jet continued to circle and climb while maneuvering towards the left side of the unknown object. The unknown object then started moving to the left, towards the jet. Their apparent altitudes were different however so it wasn’t like they were going to crash. This is when the loud roar became really loud and I witness three more planes come from the west. 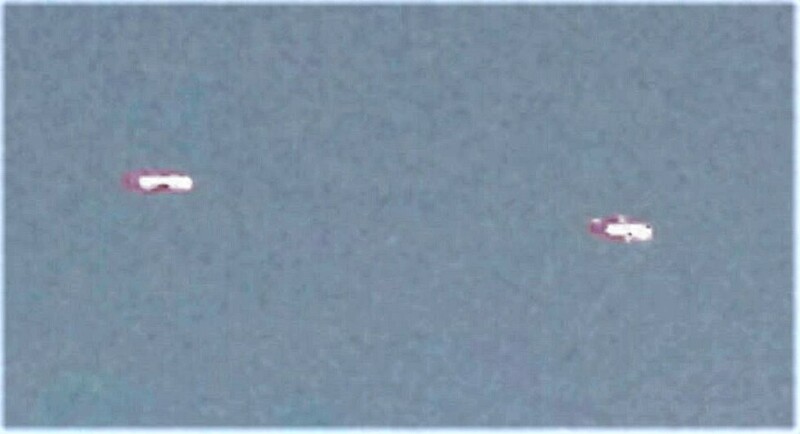 I could tell immediately that these were planes, not something unknown, and that they were most likely the same type of jet. Now I am thinking that this must be a training exercise and because of the heavy and low overcast they are doing their drills much lower, even though the first plane was uncomfortably low. But then the unknown object started to climb and circle around and descend while the planes were all maneuvering in the sky. This seriously looked like a shot in “TOP GUN”. I am still in disbelief. All these objects appeared to be dogfighting or practicing evasion techniques. This lasted for about 2-3 minutes. Passengers planes were also within the area. They were pretty low too as the other planes and such were dancing with each other. The unknown object then got smaller and smaller and a pretty quick pace as it fled south. The jets did follow pursuit and the loud roaring diminished. About 10 minutes later the roaring was back and growing in loudness. I could hear the jet overhead but didn’t see it at first. It was up in the clouds now was flying back north and the roaring faded away. The other jets and the unknown object were nowhere to be seen. Another 5- 10 minutes pass and I hear the Red Shift effect of the roaring jet coming back over head heading in a different direction. This cycle repeated several more times. I got the impression that this jet was searching for something. NOTE: The above image is my CGI. THIS CASE IS UNDER INVESTIGATION BY GLENN GREEN OF MUFON NEW JERSEY. Tegucigalpa, Honduras — Her sleep was disturbed by the parrot squawking at that time of the morning. Upon stepping out to the yard, she found the bird staring skyward and her amazement was indescribable as she witnessed a luminous object moving beside the sun. The object descended and its surroundings acquired an aqua-green intensity before it sped off to the north at a tremendous rate of speed. The time was around 6:00 in the morning last Sunday. The singular vision shocked her out of her Sunday slumber, giving her enough time to reach for her smartphone and take three photos of the strange object as it moved in the heavens. 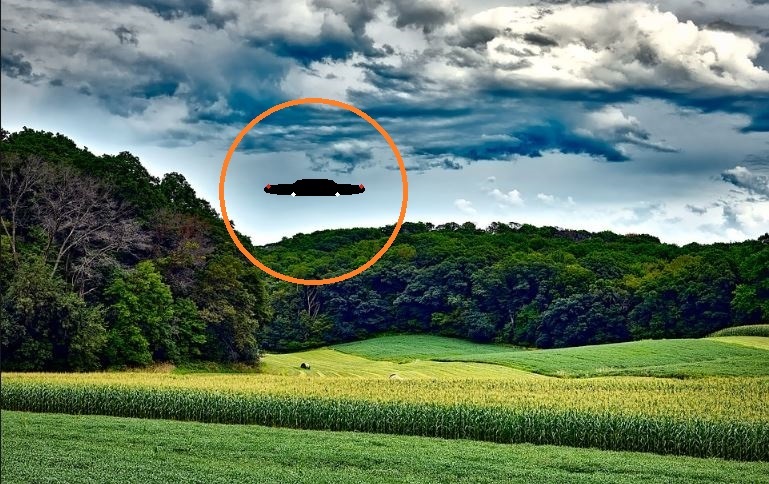 The first two photos showed a bright spot, but in the third, the object lit up in such a way that it made it clear that it had a force field. When it dashed off into the clear blue skies, “Sandrita” was sure that she’d seen an unidentified flying object (UFO). Others in Honduras, much like “Sandrita” (who preferred to conceal her surname), and hundreds of others around the world are seeing from one to entire flotillas of objects, as well as the added shock of encountering one of their occupants or extraterrestrial beings. The event has left the girl from a Comayaguela neighborhood full of questions after having photographed a UFO without meaning to do so. Many others worldwide are also wondering about the purpose or goals such craft might have. Humanity has kept records of so-called extraterrestrial contact since the dawn of times. 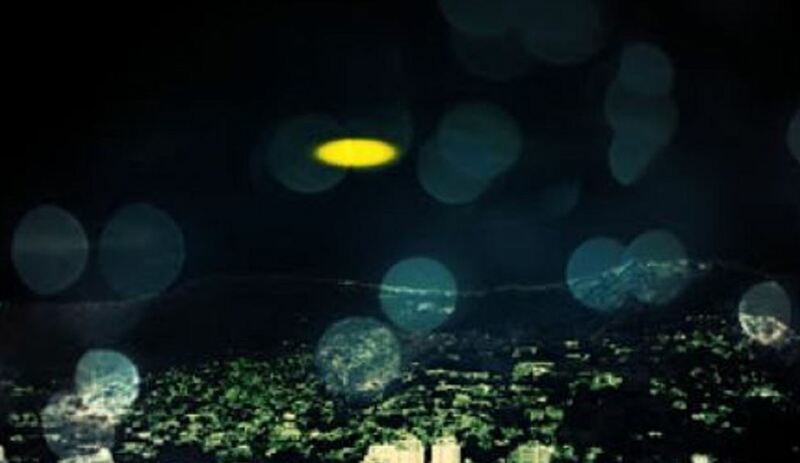 An increase in UFO sighting reports is occurring in every country on the planet, including Honduras. My husband & I we’re outside drinking coffee when I saw something white on the horizon. There were 2 of them & I just stood there trying to figure out what they were. They had movement that reminded me of a blimp but faster. The 2nd object was quite a ways behind but caught up quick. I had my camera in my hand & so decided to take a picture. I almost didn’t get the chance before they were gone.We felt that it was definitely something not explainable!! On the evening of April 3, 1996, my husband and I had been watching the Hale-Bopp comet. On the way home, we watched the total eclipse of the moon from the Staples shopping center. When that ended, around 9:00 p.m., we headed home in our car. We were near the top of Pearl Street, heading west towards Lake Champlain, when the event happened. From there we had a clear view of the lake, the Adirondack Mountains, and the sky above them. Suddenly, a very bright whitish/pale-yellow sphere of light came into view on the far left. The sphere was moving slowly across the sky in front of us. For most of the time we watched it, it was moving in a straight line, parallel to the lake, from south to north. Just before we lost sight of it, it seemed to be moving in a slight downward arc. From where we were observing, it appeared to be just above the mountains, and to be about the size the sun looks at midday. 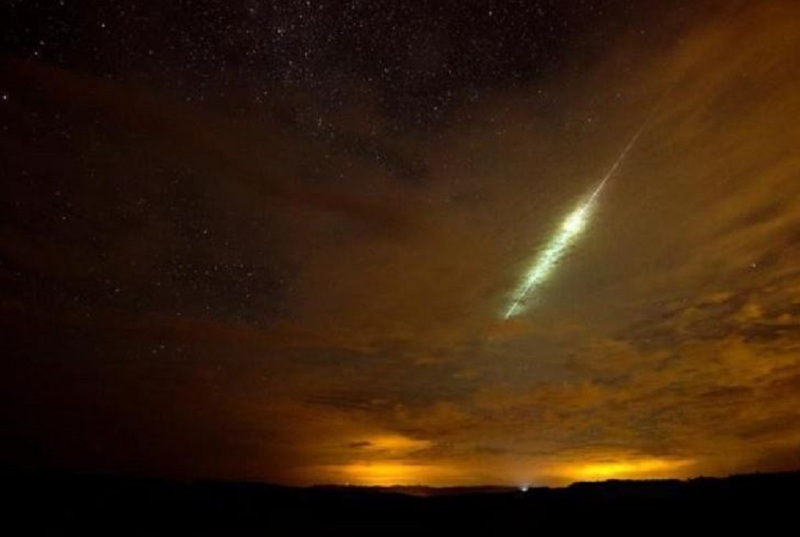 It had a thick trail of bright whitish/pale-yellow sparks behind it that was so long that at one point the sphere plus the tail stretched across about two-thirds of our view. This tail was coming from the whole left half of the sphere, and coming to a point at the end, forming a cone, like an ice-cream cone, with the sphere itself the ice-cream. The right (forward) side of the sphere emitted no sparks or flame. We heard no noise. We estimate the total time elapsed to be about 30 seconds from the time the sphere first appeared to our left until it disappeared from our view. As soon as we got home, about 3 minutes later, I wrote down all the details of the sighting and called a local radio station to report it. The station wasn’t interested. We then called the police, who took down the report. The police called us back. They had called the airport and been told nothing had been observed and that it must have been a meteorite. It wasn’t a meteorite. It wasn’t hurtling downward; it was traveling horizontally, much too slowly to be a meteorite. NOTE: The above is CGI. Why did NASA just destroy Apollo tape recordings found in a basement? | Alien UFO Sightings. The nation’s space agency may or may not be trying to hide something, but it just did something extremely suspicious. As reported by the U.K.’s Daily Mail, NASA officials recently discovered a trove of historical tapes from the Apollo era, when the space agency was sending astronauts to the Moon and then destroyed them after they turned up in a basement in Pittsburgh: NASA recently destroyed hundreds of mysterious tape reels and two Apollo-era NASA computers used during the height of the Space Race, documents have revealed. Most of the tapes, wiped in 2015, were unmarked, but some were related to Pioneer 10 and Pioneer 11 NASA’s missions to Jupiter and Saturn during the Apollo moon landing era. The space agency said the documents were destroyed because they were of no historical value and were too difficult to recover. That’s the story we’ve been given, anyway. But in an era when we can recover and restore all kinds of data, it seems rather difficult to fathom that one of the world’s premier space organizations can’t dig up the technology necessary to restore taped data. In addition to the hundreds of tapes, NASA also destroyed a couple of computers from the space-race era as well. They had been stored in the basement of a onetime engineer for IBM for five decades. 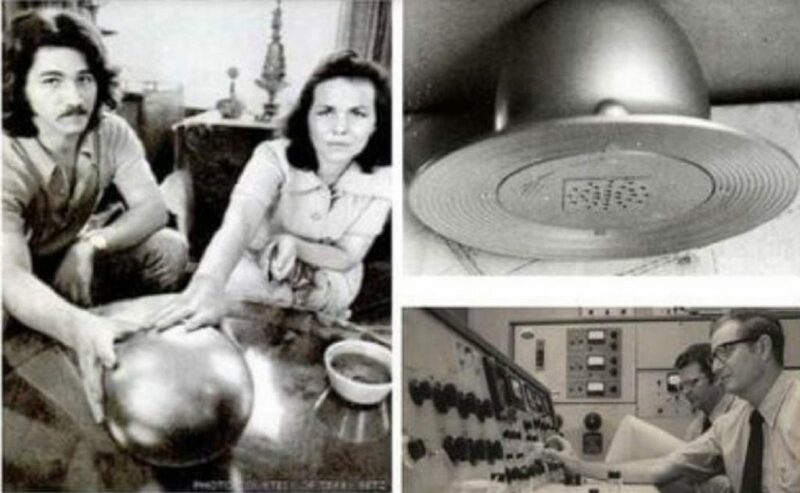 The engineer worked for NASA during the 1960s and 1970s, the Daily Mail reported. After he passed away in late 2015, he left the files and equipment to a scrap dealer, according to Freedom of Information Act documents that were seen by tech site. According to the redacted report, NASA officials told the family of the late engineer that they did have to remove the computers which are extremely heavy and placed there by crane decades ago because the space agency had no use for them. But one NASA official did order that all of the tapes be destroyed, for some reason. There is no evidence that suggests this material is historically significant. I recommend disposal through the immediate destruction of all magnetic tapes, the official noted, according to the FOIA-tied report released by NASA. 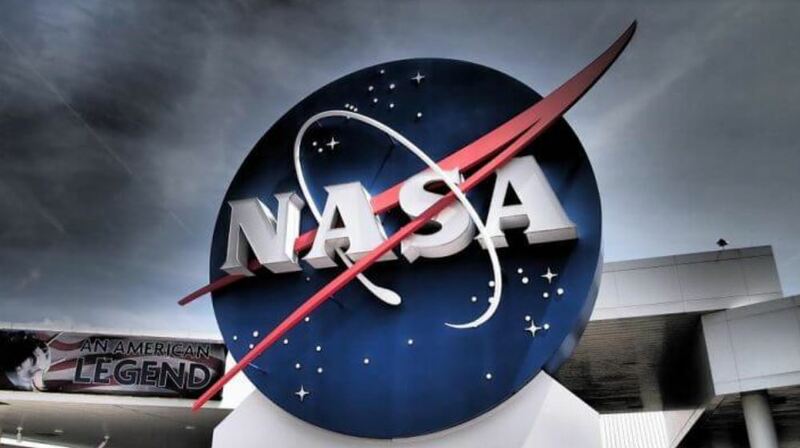 One space agency archivist said that restoring data on the tapes would have been very costly, and even then, it wasn’t likely that anything could be recovered from the mold. However, historical data from that period would no doubt be extremely relevant to some space experts. And again, going to all the trouble to destroy tapes containing data in which space agency experts said was probably not recoverable anyway raises doubts about the space agency’s credibility. NASA once accidentally erased the Apollo 11 moon landing tapes, perhaps that shouldn’t come as much of a surprise. How is anything related to landing on the moon not historically significant? You only destroy things you don’t want people to see, said one Reddit user. KENS NOTE: My theory is that we did not go to the Moon in 1969. The evidence is staggering. See my web site www.kenpfeiferdiscoveries.com and see the ” did we go to the moon ” gallery. This is only a small portion of the evidence we have of the fake Moon landing. While driving to Pigeon Forge my girlfriend noticed an object. I thought it was just the cellphone tower with a red light in the distance, then corrected her. She then told me that I wasn’t looking at the correct thing. I then noticed about 100 meters above the surface was an object with slow rotation, and white blinking lights on each appendage that pulsed slowly across the two. The object was triangular or square, though a rotation was present I didn’t get to see a full rotation, and only one light was active at a time. In the centre of the object was a large sphere, which seemed to produce some sort of plume that extended roughly 5 meters from the sphere. The appendages only produced the white lights from what seemed to be greyish circles. The object was shaped somewhat like a pyramid, with convex sides, like the attached drawings. On the exterior of the object, the triangular features seemed build up to the sphere in an overlapping pattern, and did the same but inverse on the inside leading up to the sphere. Imagine there’s more layers of triangles overlapping in the attached (poorly drawn)drawing. That convex shape on the sides is nicely displayed, though. The drawing is of a top view. The object approached relatively fast. The speed of my vehicle was around 75 MPH the whole way. While the vehicle approached at about 60 m/s, it slowed to about 25 m/s once it reached me. It seemed to follow a straight path in my time observing it. When I wasn’t able to focus on it, my girlfriend noticed it’s closest point was about 200 metres from us. At this point it appeared to be about 15 metres in diameter. My girlfriend pointed out that it flew over the road, then simply vanished once we had driven about half a kilometre from the closest approach. Personally, I’m an avid rocketry nerd. It somewhat comforted me to know that that could have been an extraterrestrial vehicle, regardless of the chances. I’m sure others may have had a different reaction. I simply wished that I could study it, and it peaked my curiosity my whole journey. As for my girlfriend, it was a mixture of fear and excitement. NOTE: The above image is CGI.